Today I would like to focus on a quite interesting project, even though it is rarely spoken of: The Document Liberation Project. 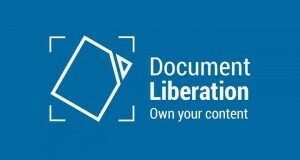 The Document Liberation Project is LibreOffice’s sister project and is hosted inside the Document Foundation; it keeps its own distinct goals and ecosystem however. We often think of it as being overly technical to explain, as the project does not provide binaries everyone may download and install on a computer. Let’s describe in a few words what it does. The Document Liberation project aims at developing filters handling various file formats. The output of the project is then reused inside LibreOffice as well as in other Free Software such as (but not limited to) Inkscape, Abiword, etc. Corel WordPerfect Graphics import library. A library for import of many legacy Mac document formats. A library for import of many e-book formats. * submit test documents and assess how effective the filters are in real life. You may of course donate to the Document Foundation as well. The Document Liberation project matters a lot. It matters for many different people and for the ecosystem of desktop software relying on these files, from office suites to graphical design tool and document processors. If you feel like you could help, do not hesitate one bit, your contribution will be much appreciated and you will help liberating the world, one document at a time. 5 Responses to "The importance of the Document Liberation Project"
I hope the get to DOS Framework I, II, III & IV someday.